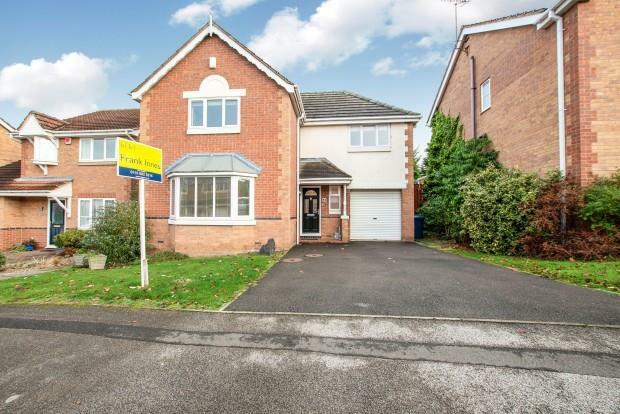 4 Bedroom Detached House To Rent in Nottingham for £1,250 per Calendar Month. Modern and spacious living area with large fronted window and blinds fitted, feature fire place being the focal point of the room. Separate dining area having laminate flooring fitted and sliding doors leading to the spacious conservatory. Modern style kitchen with a range of wall and base units, oven hob and hood. Separate utility area with white goods included; washing machine, dishwasher, fridge freezer. Beautiful rear garden being fully enclosed with a patio area. To the first floor there are four double bedrooms. The master bedroom has an ensuite fitted with a shower and wardrobes built in. Modern and well presented family bathroom being part tiled with low flush wc, wash basin and shower overhead. Available now to view, available to rent from 1st June, 2019 call us today to arrange your appointment. Driveway for two cars to the front with lawn area.